Post tracks that you feel go well with Berserk, it's themes, characters, art, events etc. This one from Linkin Park makes me think of Guts directly post eclipse, especially when he is running away from Godo's and seeing flashbacks of all his companions in the Falcons who were killed. This one from Enya always makes me think of Charlotte and her feelings for Griffith. Haha Awesome. Btw, who is that in your profile gif. This song would fit Guts after the eclipse and before meeting Puck. His darkest days. Listen to the whole song though. When they finally reach Elfhelm. I feel that; https://www.youtube.com/watch?v=VVm8702BqcU fits well with the tone of Beresrk. https://www.youtube.com/watch?v=676vze-kM9I for a fight or two. And https://www.youtube.com/watch?v=Ll8dd4zj140 Might just fit in for more mindless guts hate. It's been fun listening to these. For the events in episodes -> 302 - The Flight, 303 - Backlighting, 304 - Fissure, 305 - Creation. Excluding the Emperor's past part of course. You'll know which part fits where, trust me. For the events in episodes -> 302 - The Flight, 303 - Backlighting, 304 - Fissure, 305 - Creation, 306 - Fantasia. Excluding the Emperor's past part of course. Yeah, fits those events really well! This one also makes me think of both when Laban goes into the city that's been hit by plague in volume 17 and when he goes into Windham after it's been turned into the "Demon city" in volume 27. It gives me that feeling of bad stuff being revealed as Laban is witnessing what's become of those places. I feel this fits Guts and Casca's relationship really well. 2:25-2:40 would be perfect for when they kiss near the water fall (Volume 9). This song called "Guardians Awaken" from The Legend of Zelda: Skyward Sword sounds very Berserk-ish to me. It perfectly fits the Apostle fight scenes as well as the Eclipse. There are some coincides in timing that make the story perfect, not always but there are high chances for it XD. That soundtrack is scary man. I could see this going pretty well with The Count battle. Yeah, works well for that. Great for a Berserk-reading marathon! When you have those moments where music matches up perfectly with what you're reading it is cool for sure! Lawl! https://www.youtube.com/watch?v=n8_LJN-dxtc is ridiculously fitting with the choice of interments used. I know its maybe too mainstream but just think the first segment were Caska's thoughts pre-eclipse and from the chorus were Guts post eclipse. 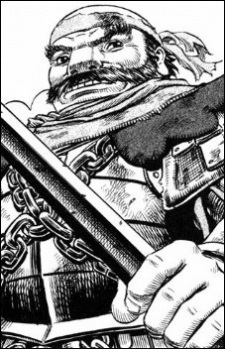 Berserk is one of those things in my mind I can literally apply to any music. Just yesterday I was listening to Metallicas version of turn the page and thought of the black swordsman roaming around. I know its maybe too mainstream but just think the first segment were Casca's thoughts pre-eclipse and from the chorus were Guts post eclipse. I've heard this song many times before, never got to know the name until now. Thanks! Also, does post-eclipse mean his sprint? The song feels too light to fit it but maybe that's just me. I've this song many times before, never got to know the name until now. Thanks! Not only his sprint I think what made me say that was the feeling that Guts is just trying to fix her during the following arcs just like the chorus.